What Exactly Are Lace Wigs! "How exactly are lace wigs different from other wigs?" It's one thing to have a fancy schmancy website about lace wigs (also called lace cap wigs), but let's face it, unless you're a lace cap wig veteran, you might find the combined worlds of lace and wigs a little confusing... never fret, we're here to answer any question you may have - hooray! Lace cap wigs differ from traditional wigs due to the construction of the cap which were machine made with wefts throughout the cap. This method of wig making made it impossible to wear the hair off the face or in an up-do. If you were able to splash the cash, then might've opted for a monofilament wig cap; the cap would have either a double or single layer of monofilament at the crown which would create a less bulky look at the crown and the hair would be hand tied (knotted) to the filament so it would look like it was growing out of the scalp. Monofilament wigs still didn't allow the hair to be worn up in a ponytail. Lace wigs are a progression of the monofilament wig in the sense that the entire wig cap is made of lace (yes, yes, we can already hear the shouts at monitors after that last sentence, but we promise you that we know that lace front wigs only have lace at the front, and we promise to get to the variations of lace caps later)...now where were we...? Oh yes, rightio; lace cap construction. 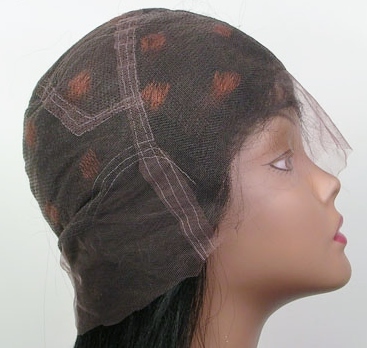 The wig caps are made of lace and the hair is ventilated (meaning, made by hand, where each individual hair strand is knotted through the lace using a using a tiny hook. Nylon lace - sometimes used for lace cap wigs that don't require glue "glueless" (not a real word, we know!) and broadly the same thickness as French lace. Swiss and French lace are available in a number of colours; before you ask, the answer is no. No the lace does not actually come from either Switzerland or France; originally at one point in the far and distant past it did, but it doesn't now... don't worry, we've all thought it. How is the honeycomb related to lace? Well, if you're familiar with honeycombs, then you'll understand why lace with larger holes is less robust and lace with smaller holes is more robust. Swiss lace slightly thinner than French lace and this is in part due to the holes being larger – although that sounds odd, if you think about a honeycomb the picture unfolds...larger holes mean a structure that's thinner and weaker overall. It's this feature that makes Swiss lace less visible than French lace and it's also the reason it's not as robust as French lace and can tear more easily. French lace slightly thicker than Swiss lace and this is in part due to the holes being smaller – and again, think about the honeycomb and it begins to make sense that smaller holes mean an overall thicker and stronger overall. This feature makes French lace more robust than Swiss lace, but also makes it slightly thicker than Swiss lace. Whoa...before you go to bed with nightmares about super thick French lace, just remember this: neither type of lace is invisible – Swiss lace is simply slightly less visible. 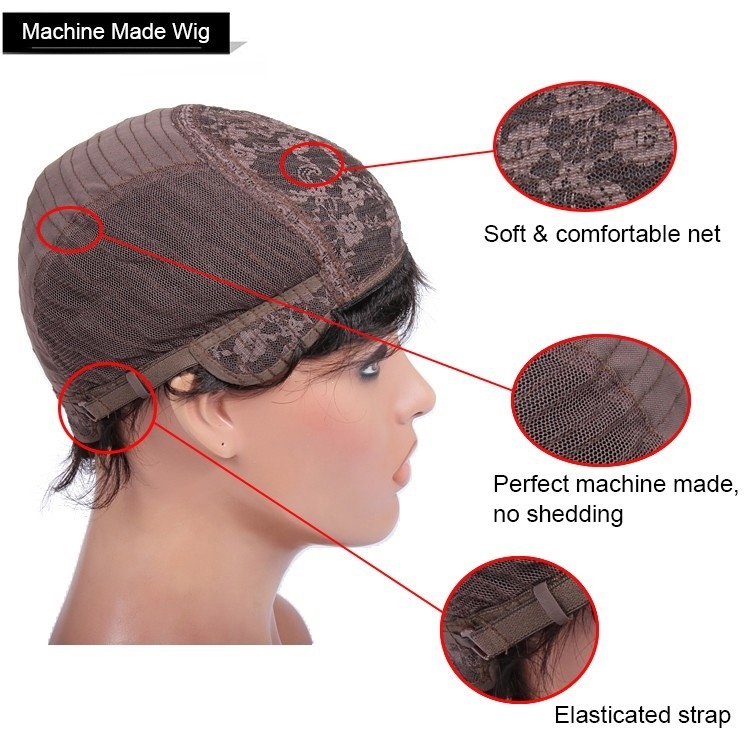 That about wraps up the answer as to how lace cap wigs differ from traditional machine made wigs...hurrah!